Letter Opener Stainless Steel Dagger Style Knife is exactly what it is called. As a knife maker in the UK it is illegal to sell knives if I even suggest they could be used in combat so, to that end, a traditional dagger (a knife originally designed for stabbing, swiping and thrusting) must be advertised as a letter opener! This dagger style letter opener comes with a leather sheath that includes a belt loop for a standard 35mm belt. 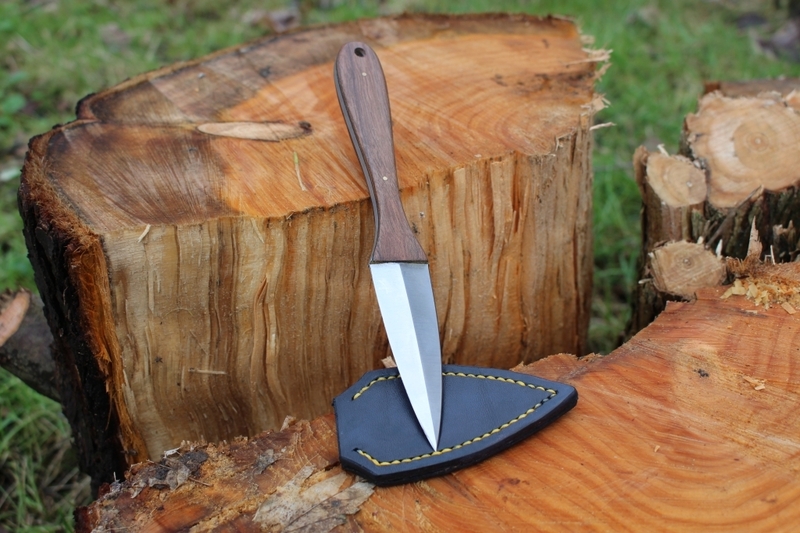 I can also provide a boot sheath for this knife so you can open your letter with style at home or in the office (but not outside! )!